Imagine the feeling of being trapped as a fire or other major emergency breaks out in a heavily populated area such as a shopping mall, office building, or theater. Few situations set off as much panic as these dangerous scenarios, which can cause damage and injuries as people act on a fight-or-flight response. You could be pushed, shoved, or even trampled, in addition to the initial danger of fire, severe weather, armed intruder, or other emergency. It’s especially troubling if these situations ever occur at your facility, office, campus, venue, or multi-building environment, where you have the responsibility to ensure the safety of occupants. In some emergencies, a siren or a fire alarm may not be enough to ensure that people calmly and safely get out of harm’s way. Depending on the circumstances, people will need to know where to go, what exits to take, and information regarding the situation in order to remain calm. It is up to you to make sure there are systems in place to allow an official to maintain order and clearly communicate instructions to masses of people. 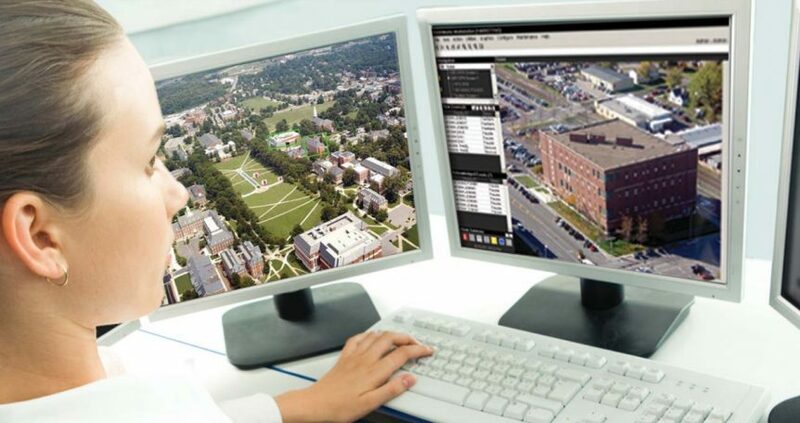 This is why it is crucial to install a Mass Notification System (MNS) and Emergency Communication System (ECS) in your facility or workplace to spread the right information to the right people at exactly the right time. 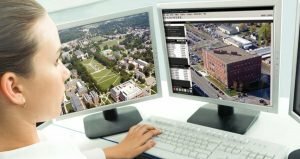 The U.S. Department of Defense defines an MNS as a system that is capable of providing real-time information to every building occupant of personnel in the immediate area of a building during an emergency situation. An ECS is a system that offers protection and indicates the existence of an emergency and communicates necessary information to respond appropriately. The guidelines for the wider use of MNS and ECS in non-military institutions such as hospitals, offices, and schools now fall under NFPA 72 codes, which require these systems to accurately identify emergencies and inform people about appropriate actions. Honeywell’s NOTIFIER® is the largest worldwide manufacturer of Mass Notification Systems (MNS) and Emergency Communication Systems (ECS). These systems use technologies based on fire alarm codes and standards to offer an expansive network of life safety solutions. They are ideal for situations when a siren or fire alarm just isn’t enough. They allow operators to keep crowds calm and instruct them to safety, in the process saving countless lives. NOTIFIER First Command – This is an ECS that monitors and controls a notification appliance network and can be locally operated with consoles. It is ideal for delivering pre-recorded voice messages, making live voice announcements, and providing visual strobe and textual messages. During an emergency, it can work with fire alarms, deactivating them so people can clearly listen to safety instructions. NOTIFIER ONYXWorks – This is a facilities monitoring network that combines various technologies to alert occupants and provide them with clear voice and visual instructions. 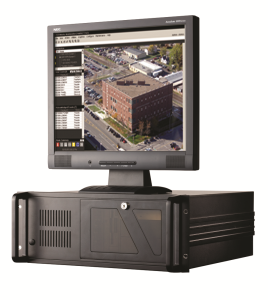 It features a high-performance industrial computer with clear text and color graphic display of all points and events in the network. It is compatible with high-speed NOTI-FIRE-NET and Ethernet-based networks. 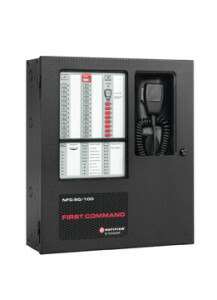 NOTIFIER Digital Voice Command and FireVoice-25/50 – Digital Voice Command is an ECS allowing either local or remote communication with firefighters. In events like fires, evacuation, and severe weather, it lets you talk to fire departments and relay instructions to a crowd so they can calmly get to safety. Installing an MNS or ECS alongside your existing fire alarm or public address system can save lives in the event of fires and emergencies. 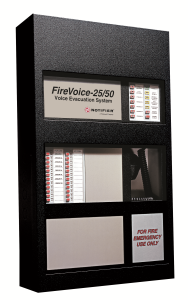 Fire alarm notification systems like NOTIFIER FireVoice-25/50 can protect your employees and workers in case a fire breaks out, while an MNS like Digital Voice Command or ONYXWorks provides immediate warnings in case of all other emergencies like tornadoes and evacuations. As a licensed distributor of Honeywell fire safety products, we at Fox Valley Fire & Safety are fully capable of designing custom NOTIFIER MNS systems for your office or workplace. We partner with you to design custom-made MNS solutions for your specific requirements, installing them properly and efficiently. Our technicians are also qualified in performing maintenance and service operations to ensure that you are fully protected in case of any and all emergencies. Contact us today to learn how we can connect you with the NOTIFIER MNS or ECS system designed to address all the safety needs of your business and workplace.